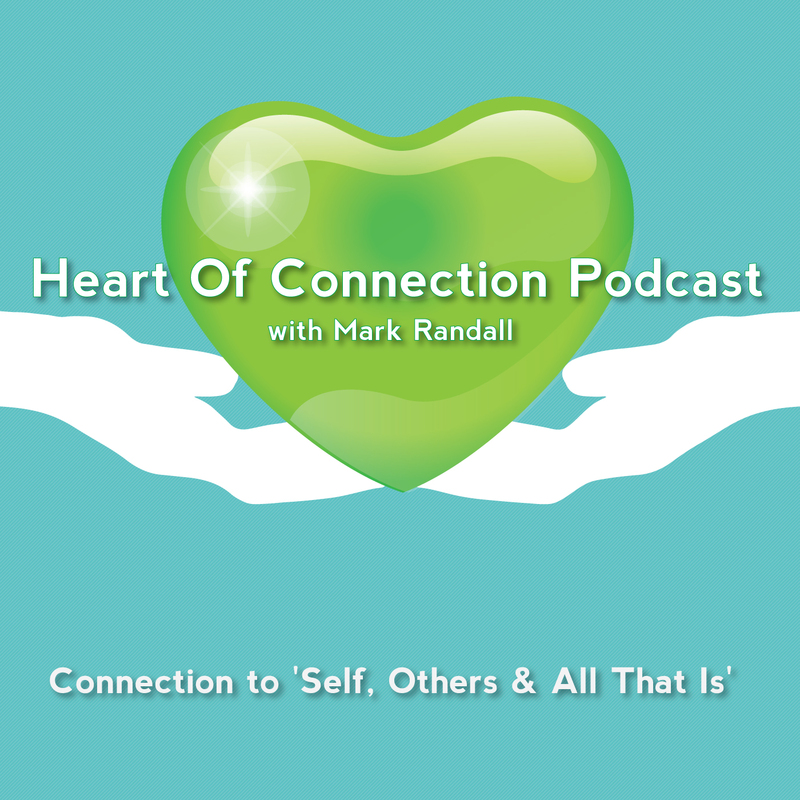 When thinking about this conversation for the heart of connection Louise shared her experience in her early 20’s when her Dad had died and she actually felt a pain in her heart. She recalls feeling a physical hurting in loss of a parent. This pain stuck with me and reminds me to care for myself. The pain gave her a reminder of the connection to her Dad and with her deep loss. I think of the heart as compassion, care, nurturing and kindness as well as the flipside where there come pain and fear with the heart connection. There is the physical space of the heart as the organ that beats and being mindful of that is important. In connecting with herself Louise describes using meditation now. His thinking about my heart space is about breathing into the heart and out of it. Love doing it and enjoy and love the practice. In my body when I do it there is a sense of warmth in her body – taking care of herself, it’s comforting. Happens often subtly rather than necessarily overt – there is a bit of Zen going on there and that’s really nice. She likes to actively like to seek the Zen in my life – it’s grounded and for her takes in the present moment. In the present moment, where does your mind go? It more of a feeling perhaps there’s not a lot of thought going on. I feel relaxed, one of those times I am looking at life and look at the world from a different perspective, and in it I feel great, to look at it in a varied way – it’s a connection and how I relate to the environment at that time. In a Queensland rainforest and looking at the beautiful greenery, the raindrops – it’s like a constant gift from nature – looked at it appreciation and it was giving, giving in that way. The Zen within ourselves definitely gives back. When connecting with others – wanting to understand to what is going on for them – what is there perspective and being present to them. It’s very personal for them. Check in with friends – they feel love but express it in different ways. It’s expressed but not overtly in subtle ways. Comes out in vulnerability. The connection really powerful – safer to be subtle because it is very powerful to bring it out all the time because it can get very emotional, in the connection there is a vulnerability, there is sharing, there is an intimacy and save those times – there is a time and a place. We are very busy with lots of things to attend to – those precious times for connection are important and need focus. Lose connection to self and others in the business of life, definitely but it’s a trap. I need to make time for friends, think about how my compassion can help. Relearning compassion to hold and heal vulnerability. Does your compassion hold your vulnerability? It’s doing it more and more. There is healing in compassion. If I have compassion for myself I can have more for other people. If I can hold my self-compassion and practice it I can be more compassionate to others. The blocks to our self-compassion have been taught. We are taught the opposite – if we are harder on ourselves we get further. Deliberate intention to think about it differently nowadays. It’s kind of liberating – there is a freedom in it. Making mistakes is a part of life and our judgment not always great and having compassion for myself is important. Coming within to ourselves is that like an energy of self-love? Wouldn’t articulate it like that but more comfortable saying it as self-compassion is more suitable for me. Thinking about loving kindness, being gentle, warm, friendly and self-compassion comes from my chest (heart region) – learning to take it with us each day? Imagine if everyone focused on loving-kindness!! How might life be different if we could hold loving kindness within our everyday lives? If we holding loving kindness, we are not holding anger, there is less judgment. Life would be dramatically different but that is the challenge of the human experience. How do we keep the practice going – how do you remind yourself to come back my anchor, I’m out of the Zen you spoke of? I’d come from the perspective that I’d want to access it, the desire has to be there that it’s worthwhile to go there during the day too has to be there, that there is some use of it. It probably more prompted when my stress is higher or something is more triggering, I feel activated, noticing or feeling ill at ease then I might try and flip it – so that’s one way. I do practice mindfulness and so naturally when practicing something – things occur differently so during the automatically try and bring myself into the present moment. I focus on breath and bring myself back into the present moment. With people whom I love there is some quietness to anchor there as well. It is a gift to give to yourself when you anchor. There is a lot of negativity in the world but there is a lot of great and wonderful things happening in the world as we speak. Just like we are doing talking about the heart of connection. I am learning to give to myself and practicing it. I am not great at being too vulnerable – I work in health and welfare and comfortable in holding others and less comfortable giving to myself – easier to give rather than to take. Part of my human conditioning – shoved down the back. Louise describes this as part of her old conditioning. The part I push away – is coming into consciousness and my practice (meditation, self-compassion, compassion for others, mindfulness) is allowing myself not going back down that ‘rabbit-hole.’ I’m also a mother’s – a given not to take back….. Mother energy is very powerful. As a mother I made a priority over family to do this conversation – good modeling for my daughter…there are things I need to do that are separate to mothering, learning to give to myself. Is connecting to your Zen is there a connection to a wider spirituality? I Grew up in religious family via my mother and father not so. I inclined more than my 3 sisters but no so. Since children, my belief in God changed. I live with a philosophy of – treat people how I want to be treated. Religion has caused a lot of pain. Spiritually I do identify with any religion. We are blessed. I can use religious terms – religion gives it a framework. It goes without saying there are always curve balls all the time. When you’ve got it together there are curve balls, there are struggles in life, difficulties in life – I cannot believe there is – there is some God – just bizarre hearing myself say that. My message to others – we all on a personal journey as to how someone might fill that. My story is my story, for me it’s compassion, really try to understand what compassion is and practice it and whatever that means for the other person. Compassion is how I view it.